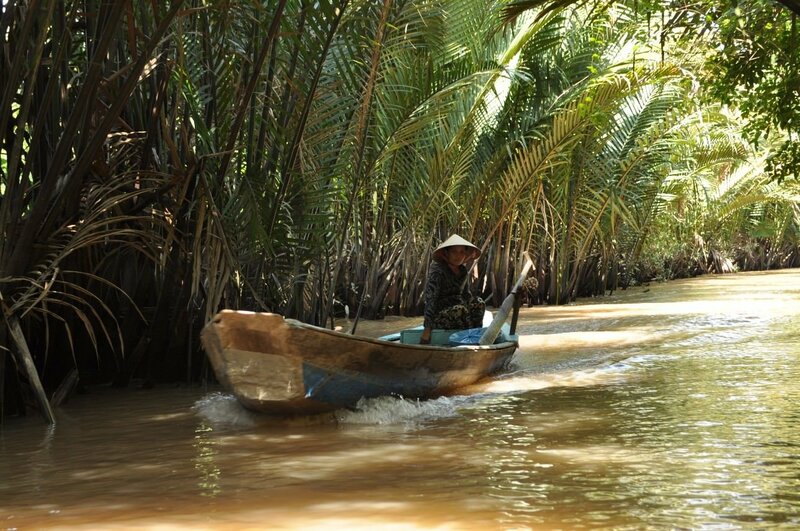 Our final activity in Vietnam was a trip out to explore the Mekong Delta. 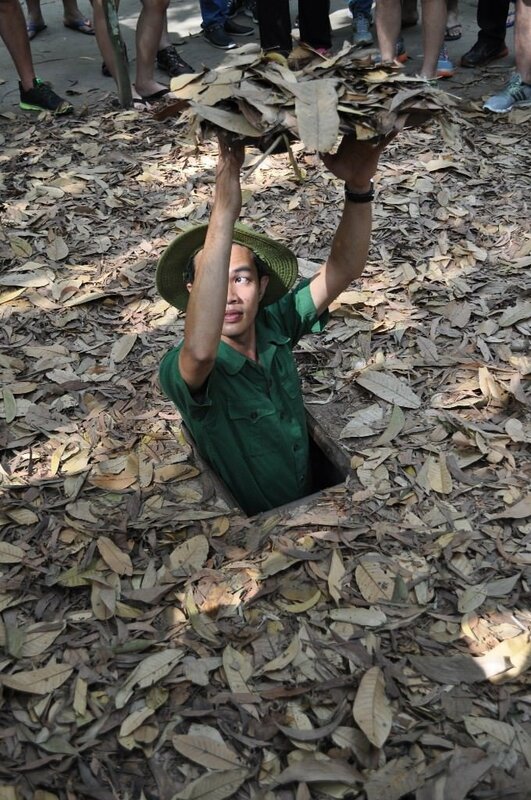 The Cu Chi Tunnels are an example of the intricate hiding system used by Viet Cong soldiers during the Vietnam war. Within the tunnels there are living quarters, kitchens, weapons storage and hospitals. 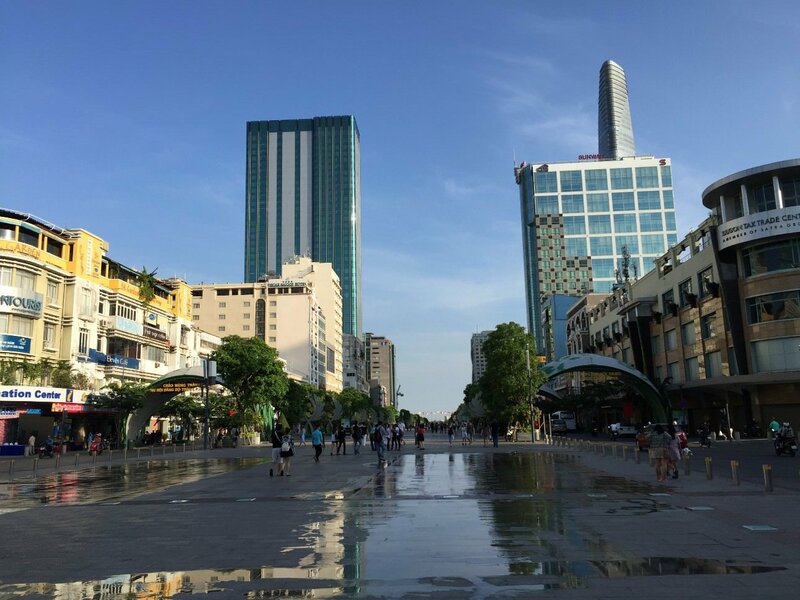 Ho Chi Minh City, formerly Siagon, is the largest city in Vietnam and has about 9 million residents, most of whom ride motorbikes or scooters; During rush hour the roads are crazy busy which is great for enjoying the spectacle of it all but not so good if you want to cross the road. 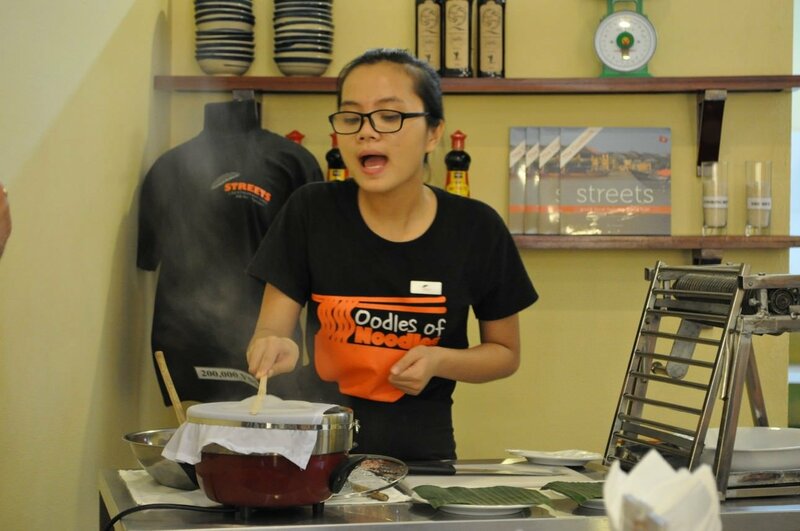 A quick and tasty lesson from the Oodles of Noodles crew saw us learn how to make rice noodles from scratch. 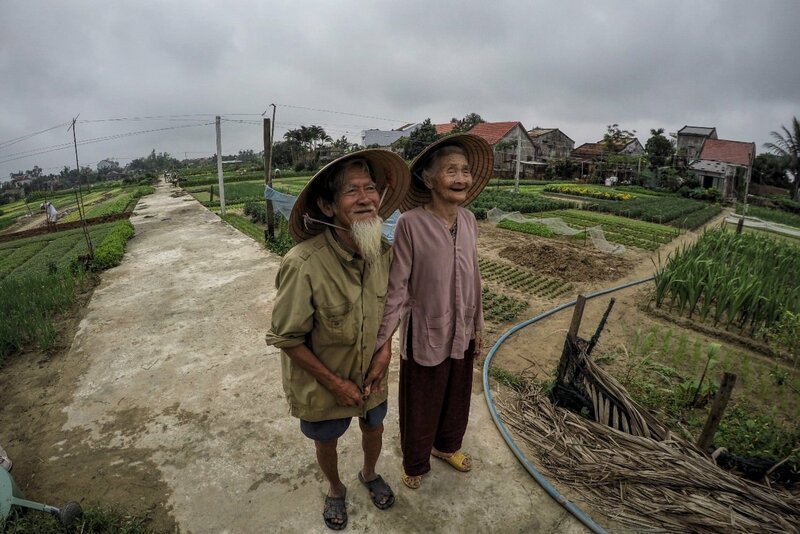 I opted for a bike ride out of Hoi An town into the surrounding countryside to see local farmers, rice fields, ride a water buffalo and take a traditional round boat around a coconut palm grove. 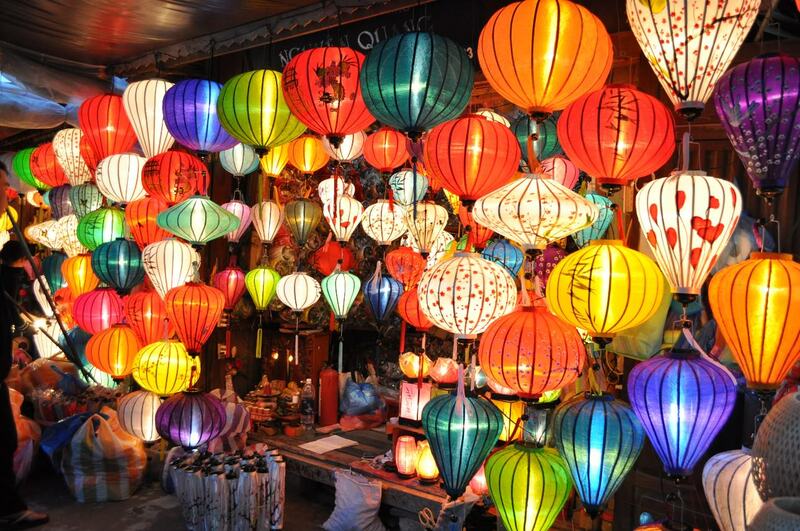 Hoi An is a very picturesque and well preserved old town and a UNESCO world heritage site. A really good location to be based for a few days as there is a lot to see and do. 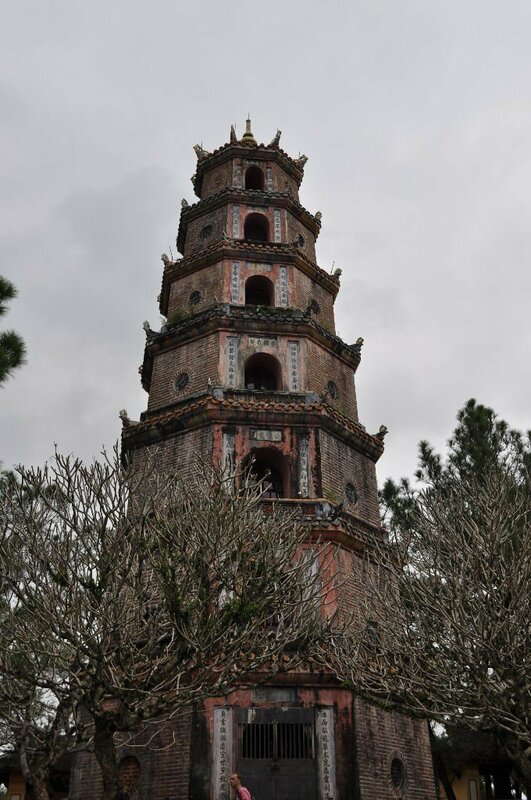 We travelled by overnight train from Hanoi to Hue and after checking in at our hotel went on a city tour to see the Tien Mu Pagoda, Imperial Citadel and the Royal Tombs. 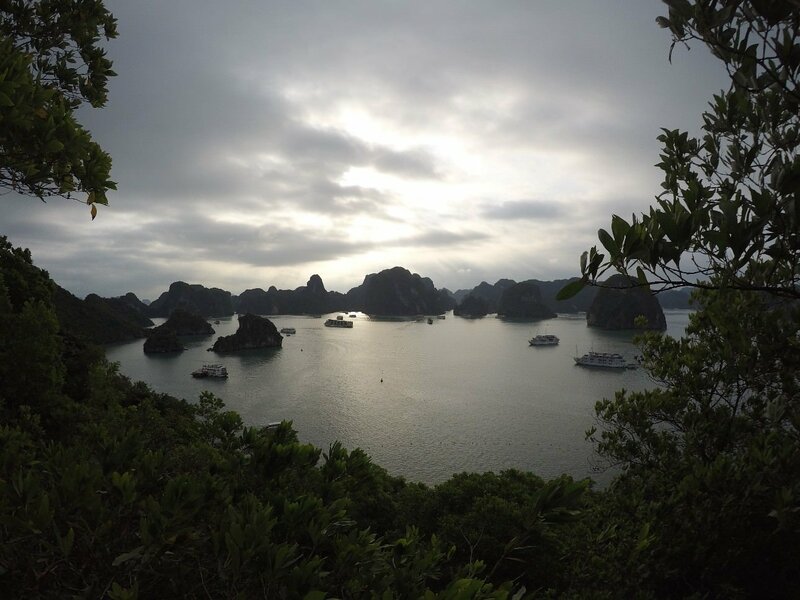 An overnight cruise on a Junk boat is a great way to explore Ha Long Bay. 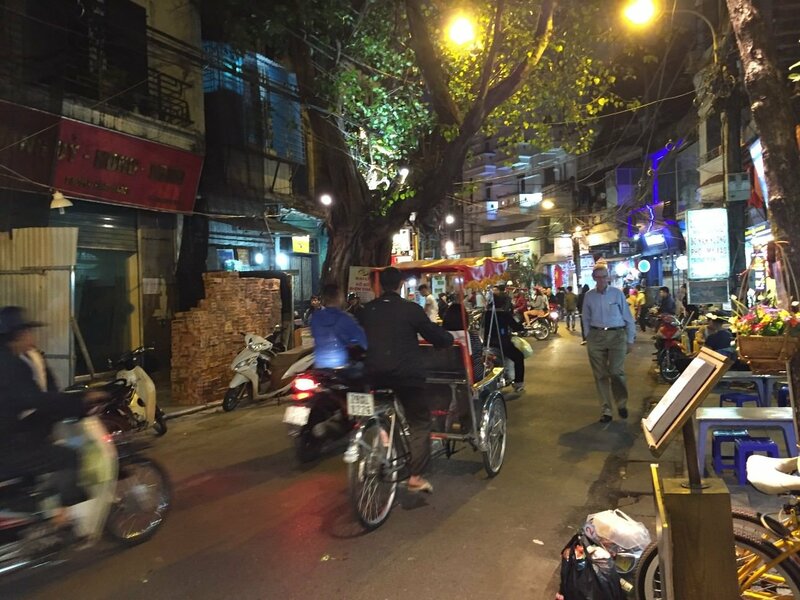 We only had a very short time in Hanoi as our flight arrived a little later than expected and in the evening we had to meet up with our new travel group.